Brown Rot Fungus Treatment in Arlington, TX. The deadliest and most terrifying destroyer of Pome fruit (fruit with a hard pit center, also known as a stone) trees in Fort Worth and the surrounding cities is the lethal fungal disease known as brown rot. Not only is it exceptionally prevalent in North Texas, but brown rot is the single greatest menace to stone fruit trees throughout the United States and abroad. There are three fungal species responsible for the rapid spread of this fruit predator; the most common in North America being Monolinia fructicola. These lurk and discreetly multiply through the winter months with a little visible indication of their occupation until warmer weather begins arriving. 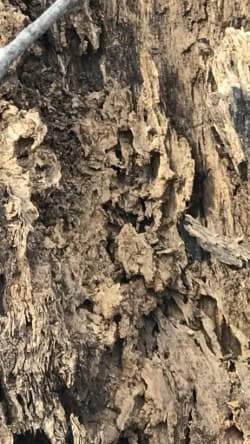 The Fort Worth experienced tree company is well-equipped for the spring reveal of this deadly pathogen, as brown rot favors humid, warm spring weather consistent with spring climate conditions in the north Texas region. Brown rot is easily spread by high levels of insect activity and wind-blown or splashing rain, thus making its destruction swift. This fruit destroyer is capable of decimating a tree's entire annual fruit production within a matter of only several days. Should you have any suspicion your fruit trees are not in optimum health, do not hesitate in contacting a certified arborist immediately for a diagnostic consultation! Brown Rot Fungus Treatment in Arlington, TX, call (817) 583-7689 Brown Rot Fungus Treatment diagnosing! Need Brown Rot Fungus Treatment? Call Metroplex Arbor Care! Diagnostic evaluation requires both visual confirmations of the pathogen's destruction and laboratory testing by an experienced plant pathologist. In the beginning stages of infestation the foliage yellows and wilts, blossoms become limp and turn dark brown, and the contagion then proceeds into wood tissue. Once brown rot has entered into the wood it moves to produce cankers and open wounds on young stems resulting in the death of new limbs and stem growth. In its final phase of advancement, the fungi target developing fruit approximately three weeks before the fruit is fully ripe. Mature infected fruit will have brown patches or spots confirming the disease. Scientific testing will be done by the certified arborist on any dead fruit and tree wounds to confirm the presence of conidia spores. This entire diagnostic process proceeds swiftly, as Fort Worth tree service professionals have witnessed an infected tree lose its entire season's fruit production within only several days! An aggressive personalized treatment and prevention program will be designed and overseen by the best Fort Worth arborist and enacted immediately. Cleanliness, sanitation and the elimination of all dead fruit, limbs, dead trees and stumps are of prime importance and this eliminates hosts for the fungus to multiply. Deep root watering and fertilization methods reduce standing water on blossoms and lessen the infector's advancement. Regularly-scheduled fungicide treatments are effective during blossoming and when applied prior to fruit is fully ripened. Insecticides reduce the insect activity and lessen transmission of the deadly disease. If new trees are desired to replace the removed dead trees, the arbor care professional will advise you on the many disease-resistant varieties of pears, peaches, nectarines and cherries such as Alberta, Redhaven, Belle, Blacksweet and many others. Prevention is always the best way to protect against deadly tree diseases! Contact your Fort Worth tree company and put a plan of action to protect your delicious fruit into effect without delay! If you have on your property, call (817) 583-7689 for a free consultation from a certified arborist in Arlington, TX. Updated on December 11, 2018, at 3:41 PM by Metroplex Arbor Care.